Truth in Budgeting: Is it enough? Program Note: Tune in to hear more from David Gergen tonight on AC360° at 10 p.m. ET. President Obama is taking a significant step toward fulfilling another important campaign pledge this week: he is unveiling a federal budget that actually tries to tell us some hard truths about the government’s finances. Too many years in the past, the Bush administration engaged in deception by keeping the costs of Iraq and Afghanistan out of the regular budget, plus pulling off some other shenanigans that disguised just how much the government was growing and how much its deficits were growing. By the time he left office, President Bush had practically doubled the national debt – doing as much damage in 8 years as the republic had suffered in more than 200 previous years combined. 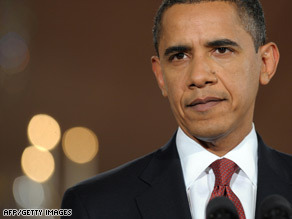 President Obama is scheduled to officially unveil his fiscal year 2010 budget Thursday. The Dow and S & P 500 finished the day at their lowest levels in nearly 12 years, as investors continue to worry about efforts to fix the economy. The Dow sank 250 points. The S & P shed 26 and the Nasdaq lost 53 points. The meltdown came as President Obama held a day of Q & A at the White House. This time reporters didn't do the grilling. It was lawmakers from Capitol Hill at the mic. The Q & A session was part of the bipartisan "fiscal responsibility summit." It was a remarkable, candid moment. In the free-flowing open session, Pres. Obama and lawmakers were in one room talking about ways to solve the crisis. We'll have more on the meeting tonight on AC360° . The summit came after Pres. Obama met with the nation's governors. Some governors are threatening to turn down money offered in the White House stimulus package. One of the sticking points is money for unemployment aid. Some governors say the cash for that program could lead to tax increases down the road and that's why they don't want to the money. Do you think governors should pass up on the cash? Or are they putting politics ahead of the people in their state? We'd love to hear your thoughts. Interestingly, New York's two senators have told Pres. Obama their state would gladly take any money rejected by a governor. Join us for these stories and more starting at 10pm ET. A time of hope for an ugly scar? Dust hangs in the sunset sky above the Suncor Millennium mine, an open-pit north of Fort McMurray, Alberta. There were two moments last summer in northern Alberta, where National Geographic had sent me on assignment to write about the oil sands boom, when I felt I was beginning to get it–when I glimpsed the full dimensions of the story in time and space. In the Athabasca Valley north of Fort McMurray, the oil companies are going to amazing lengths to scrape oil from the frozen ground. First, they raze the boreal forest, then they strip-mine tarry sand with gargantuan trucks and steam shovels, and finally they cook the tar out of the sand and then cook it some more to upgrade it to oil. It takes a huge amount of energy. That puts a lot of carbon dioxide into the atmosphere, above and beyond what comes out our tailpipes when we burn the resulting gasoline. 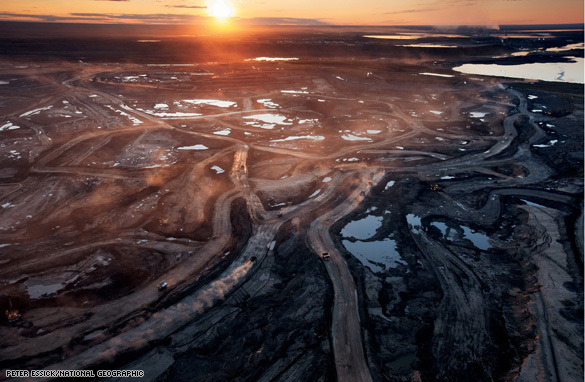 Editor's Note: Rob Kunzig, of National Geographic Magazine, went to northern Alberta last summer to write about the oil sands boom. To read his blog about the assignment, click here. Here are photos of the region. Dust hangs in the sunset sky above the Suncor Millennium mine, an open-pit north of Fort McMurray, Alberta. 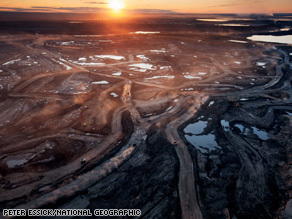 Canada’s oil sands are layers of sticky, tarlike bitumen mixed with sand, clay, and water. Around a hundred feet of soil must be stripped off to reach many deposits. 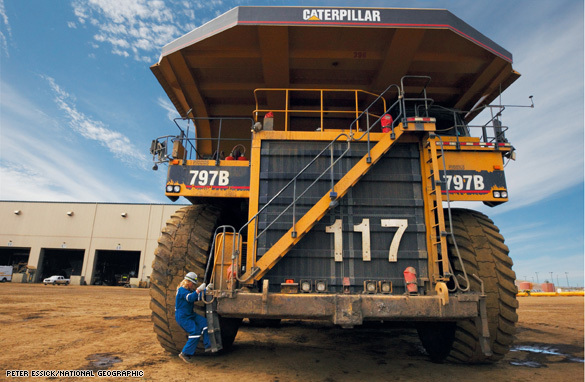 A giant shovel at the bottom of a mine delivers sand to trucks like this three-story, four-million-dollar Caterpillar, which muscle up to 400 tons at a time to extraction plants. 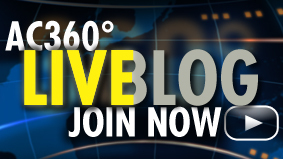 Apparently an arrest is imminent in the Chandra Levy case. 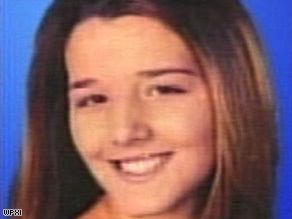 The 24 year old had just completed an internship with the U.S. Bureau of Prisons when she went missing in May 2001 in Washington, D.C.
After her relationship with then-Congressman Gary Condit was revealed, Condit was all but convicted by the talking heads on the 24/7 cable news outlets and in the mainstream media too. Most appalling were the legal pundits, some of them lawyers, who seemed never to have learned about the presumption of innocence in law school. Condit was never a suspect, but the misplaced spotlight ruined his career. More importantly, it distracted the rest of us from the truth. Now, eight years later, prosecutors are finally planning to make an arrest in the case. The new suspect was convicted of attacking two women joggers in Rock Creek Park around the same time as the Levy murder and is now serving 10 years in prison. 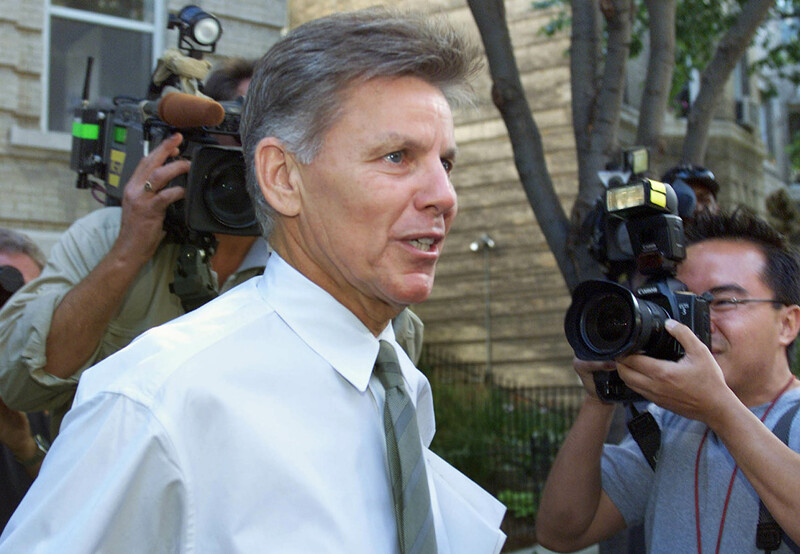 But he has previously denied any involvement in the Levy murder and he deserves the same presumption of innocence Gary Condit was denied. Even more than for Mr. Condit, I feel for Chandra Levy’s family. For them, justice has been corrupted, convoluted and, for too long, denied. 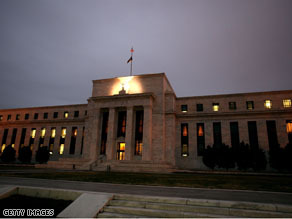 Will this crisis produce a 'Gatsby'? In the fall of 1933, Sherwood Anderson left his home in New York City and set out on a series of journeys that would take him across large sections of the American South and Midwest. He was engaged in a project shared by many of his fellow writers - including James Agee, Edmund Wilson, John Dos Passos, and Louis Adamic - all of whom responded to the Great Depression by traveling the nation's back roads and hinterlands hoping to discover how economic disaster had affected the common people. Like many of his peers, Anderson had anticipated anger and radicalism among the poor and unemployed. Instead, he discovered a people stunned by the collapse of their most cherished beliefs. "Puzzled America," the title of the book he composed out of his journeys, said it all. In particular, Anderson found the people he met to be imprisoned by what he called the "American theory of life" - a celebration of personal ambition that now seemed cruelly inappropriate. "We Americans have all been taught from childhood," Anderson wrote, "that it is a sort of moral obligation for each of us to rise, to get up in the world." In the crisis of the Depression, however, that belief appeared absurd. The United States now confronted what Anderson called "a crisis of belief." Police say Kenzie Marie Houk's daughter found her shot to death in her bed on Friday. Another young child has been accused of picking up a gun and fatally shooting a member of his household. In western Pennsylvania, an 11-year-old boy has been charged in the murder of his father’s 26-year-old girlfriend, who was eight months pregnant. As I read down the article yesterday, here’s the underreported fact that jumped out at me: the boy had a shotgun that was specially manufactured for children. Let me say that again. The boy had been given a youth shotgun, smaller than the adult version, but apparently, just as deadly. Are we out of our minds? I have long been saddened, as I interview one grieving family after another, that we lack the political will to keep guns out of the hands of mentally ill people, and even children, but now we’re making special kiddie guns? This fifth grader, charged as an adult, faces life in prison without the possibility of parole. Pennsylvania, my beloved home state, has the shame of having the highest number of juveniles in the nation serving life without parole sentences. And now they want to lock up another kid and throw away the key. I have a simple solution: lock up guns, not kids. It’s so simple. Lock up guns, not kids. Let’s prevent these crimes, and stop throwing away chidlren’s lives. Lock up guns, not kids. Can’t we all get behind that? 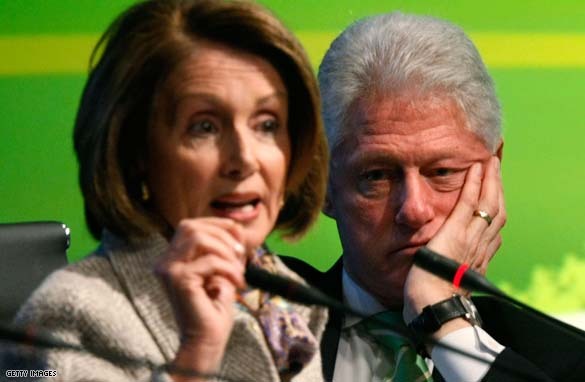 Former U.S. President Bill Clinton listens as U.S. Speaker of the House Rep. Nancy Pelosi (D-CA) speaks during an energy summit at the Newseum on February 23, 2009 in Washington, DC. A 'coming-out part' for the GOP's rising star? Being tapped to give the GOP response to President Obama's address elevates Gov. Bobby Jindal's standing in the party. Thrust into the spotlight as a Republican rising star, Louisiana Gov. 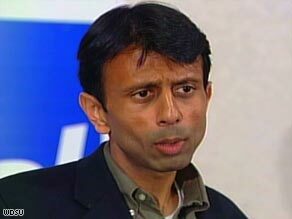 Bobby Jindal has been depicted as an up-and-comer capable of helping reshape the party and jockeying for the 2012 GOP presidential nomination. And now, Jindal's party is putting him on a national platform, awarding the once little-known congressman the political plum of delivering the Republican's televised response to President Barack Obama's address to Congress on February 24. "The speech is very important. This is his coming-out party," said G. Pearson Cross, head of the University of Louisiana's political science department, who has observed Jindal's political rise. "His speech will put a face on the name." And put a fresh face on the Republican Party.